Recreational vehicles are known for their diverse capabilities. They are the Swiss army knives of the automotive space and are built to support an independent lifestyle. But there's one feature seen in other vehicles that never really made it to the RV world: convertible tops. The Skydancer Apéro is here to fill that niche. 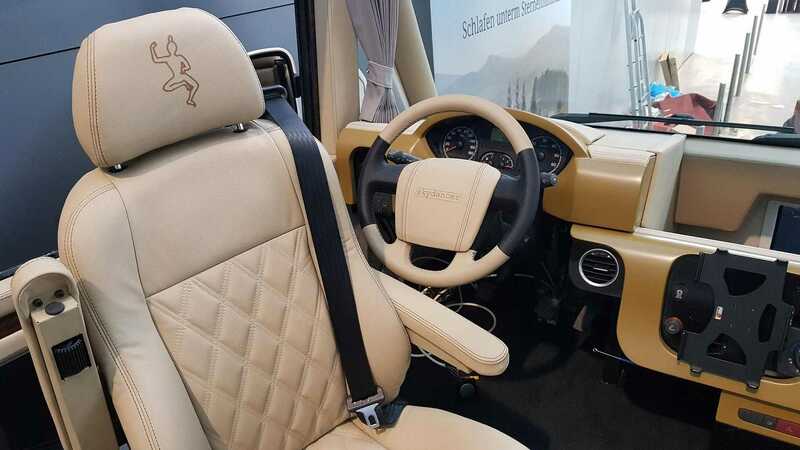 Unveiled in Stuttgart, Germany, at CMT 2019, the self-proclaimed world's largest consumer show for tourism and leisure, the Apéro is a smaller drivable RV with a cabriolet cabin top. 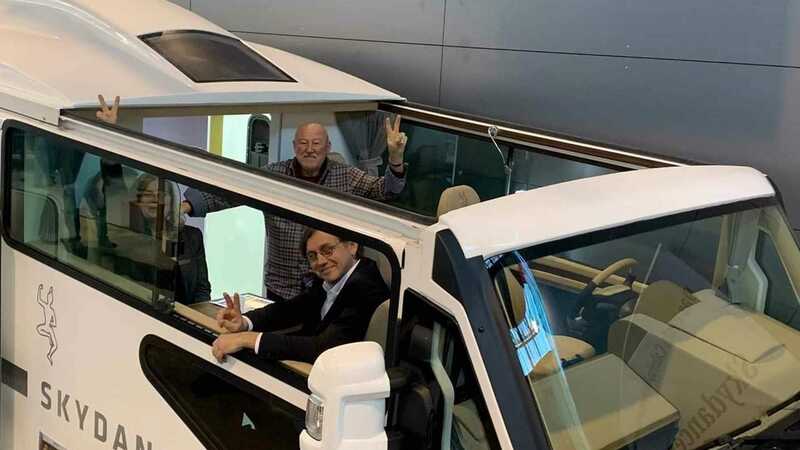 Skydancer says it's the first production convertible RV in the world. The Apéro is the fruit of Piotr Kubiński's labor. He's been working on the project for years, experimenting with different platforms and different designs. He first tried the concept with a Mercedes-Benz Atego, but the new version is based on a Fiat Ducato (think Ram ProMaster). According to the press release, it's about 23 feet long, about 10 feet high, and weighs about 6,790 pounds when "ready to ride." Under the hood is a 2.2-liter Multijet engine that makes about 150 horsepower. Appropriately, however, Skydancer claims the vehicle has been designed in a way that it could be fitted with a fully electric powertrain in the future. The convertible top works like a giant sunroof (or a miniature football stadium dome). The front roof panel sits on rails that provide a track for the single piece to electronically shift toward the rear of the RV, opening a large airy space. It can be opened for convertible driving or simply be used as a rooftop patio when the vehicle is parked. 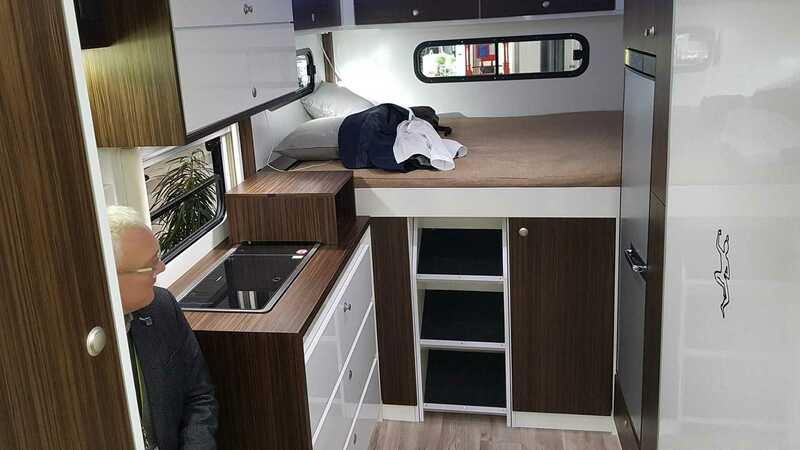 Adding extra intrigue, the driving cabin, which normally has four rotating seats and accompanying tables, can be converted into a bed for open-air sleeping. As the company's promotional copy goes, "Smell the summer landscape, play with clouds, watch the stars." The rest of the vehicle has all the expected amenities of a traditional RV. There are additional beds in the rear, a bathroom with a toilet and sink, a kitchen with a sink and a gas stove, and a refrigerator. The last feature is for those who want to be able to take small trips beyond the RV. A "garage" space is supposedly big enough to fit scooters, bicycles, and luggage.